Actress Emma Watson took to the Oscars red carpet on Sunday evening with a cause close to her heart tattooed on her arm. Only the powerful "Times up" (sic) message had a critical apostrophe missing. 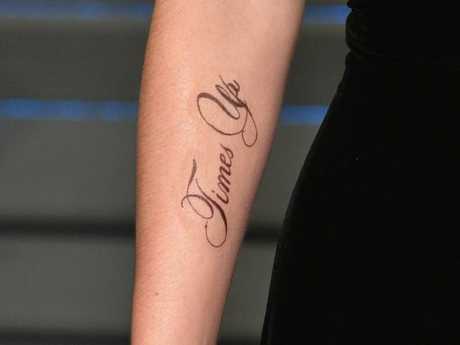 It's not clear if the tattoo is permanent or simply a statement for the event, however the 27-year-old Harry Potter star has been one of the most prominent advocates of the Time's Up movement against sexual harassment in Hollywood. Emma Watson arrives at the Vanity Fair Oscar Party with a new tattoo on her arm. Picture: Evan Agostini/Invision/AP. Something missing? There is no apostrophe between the e and the s in Time’s. Picture: Dia Dipasupil/Getty Images. Last month, Emma Watson donated more than $1.78 million to the UK Justice and Equality fund for victims of sexual harassment ahead of the BAFTA awards, where stars dressed in black in solidarity with victims of sexual assault. She has previously said she "stands by" the women who have been allegedly harassed by Harvey Weinstein. "I stand with all the women who have been sexually harassed, and am awe-struck by their bravery," she said. "This mistreatment of women has to stop." Emma Watson said she stands with those who claim they have been harassed by Harvey Weinstein. Picture: Dia Dipasupil/Getty Images. Watson also shared an open letter from several high profile women in entertainment on Instagram about the movement. "All of us are responsible for creating change, whatever industry you work in. We're asking everyone to help create a world we can be proud of - one that is safe, just and equal. Please join us and donate to the new Justice and Equality Fund, which will support frontline organisations that are working to end a culture where harassment and abuse are commonplace," she wrote. 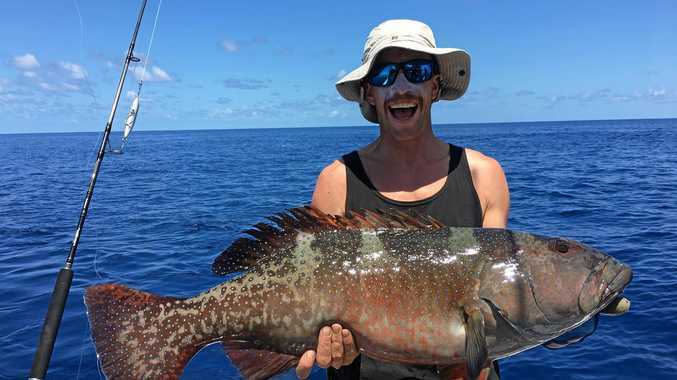 "Together we can spread our message, support the strong people of all genders who are taking such personal risks, and make sure that this is one of those watershed moments in history where things never go back to the way they were before. This is the moment we stand together and say. #TIMESUP."